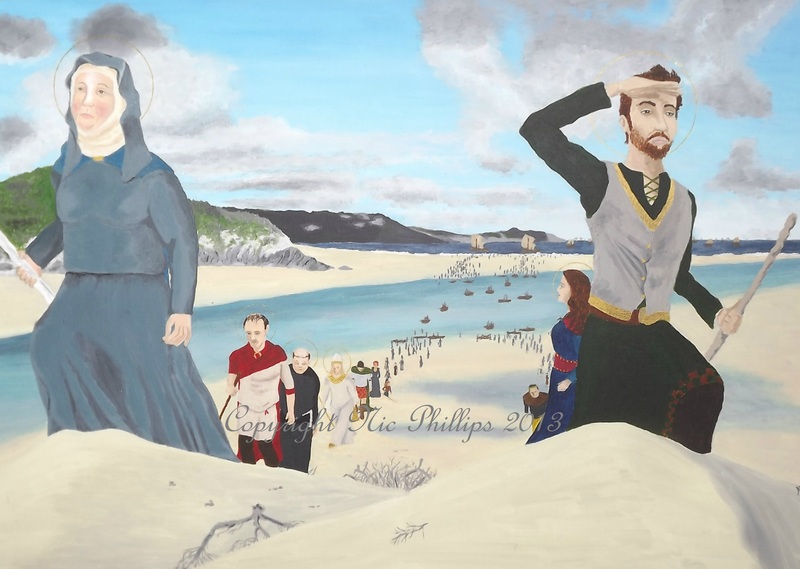 This illustration depicts the coming of the Irish saints to Cornwall. Some sources say they numbered 77, some say 777. They landed at the Hayle estuary, the coastline in the background is where modern day St Ives is situated. 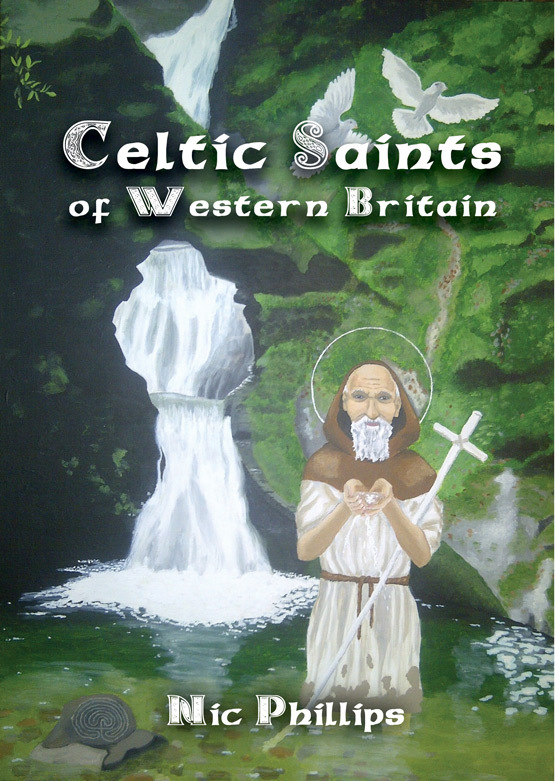 One party led by Breaca (or Breage), a nun and midwife who had come from the cloister of St Brigid, also included her brother Germoc, a king, and the abbot Sinnin and the monk Maruan and went on to settle further South. The other party led by the prince Gwinear (Fingar) and his sister Piala met more of an abrupt end at the hands of local king Teudar (or Tewdrig). Acrylic on canvas board (16.5in x 23.5in).